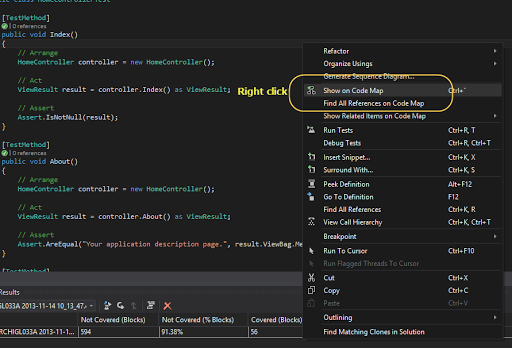 I have installed Visual Studio this morning and here are a few initial things I have found. Firstly, after installation it asked my a couple of questions including what colour scheme I would like to use for visual studio. As you can see I chose DARK. I thought this was a nice little welcome surprise instead of me burning my eyes out for weeks until I realise I could change the colour scheme. I suppose it feels more personalised but lets see what happens down the track! (https://github.com/brockallen/BrockAllen.MembershipReboot) it should be more loosely coupled and allow you to write cleaner code without being totally locked inside the membership provider. As far as I remember I was using dependency injection and the OLD membership provider kept on making me write ugly code. 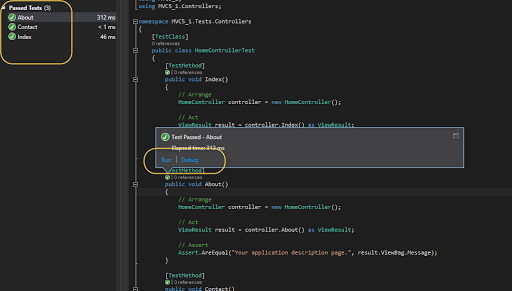 They have also added some controller example tests by default. This is great as I remember when I started writing controller test I did not have any examples. This should motivate developers to write more tests from the start which is good. I am not sure if this was here before but there seems to be a new notification window to give you updates on what is new. For example, an update to the nuget package manager. That’s my 2 cents worth and that’s all for now.